We believe in the technological development of the pig sector to meet the specific needs of animals and farmers worldwide. This is the challenge that drives us on every day. Because there is much to be done if we are to make the required technical progress to imbue pig farming with the dignity and professionalism it deserves. Because being a pig farmer is a good way to make a living. We are present in more than 85 countries. 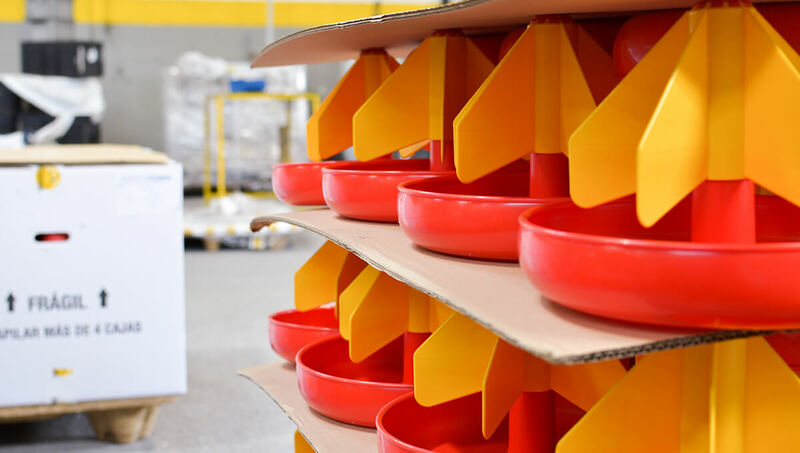 Since the creation of our first product, the Grow Feeder for fattening, Rotecna has expanded continuously and carefully, and this has allowed us to grow and cope with fluctuations in the sector. 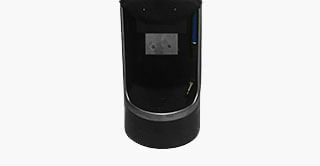 We are a leading company and can currently boast the most extensive range of products manufactured exclusively for the pig sector. 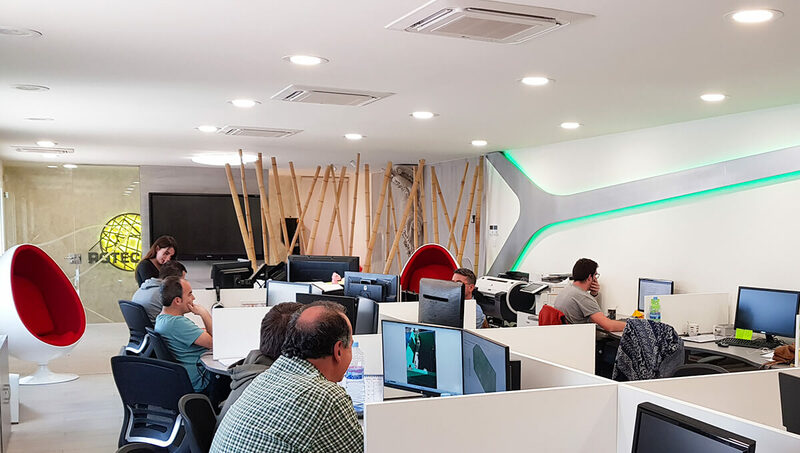 Our success is based on quality and innovation, our entrepreneurial attitude and our aim to be present in all markets of the world. 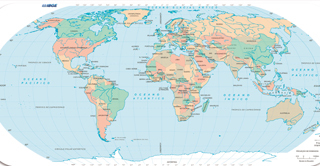 Currently, exports make up approximately 70% of the company's production, and we have distribution points in more than 85 countries. 58,000 m2 of surface area. 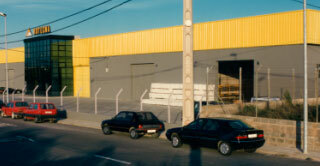 25,000 m2 for the manufacture and storage of products. 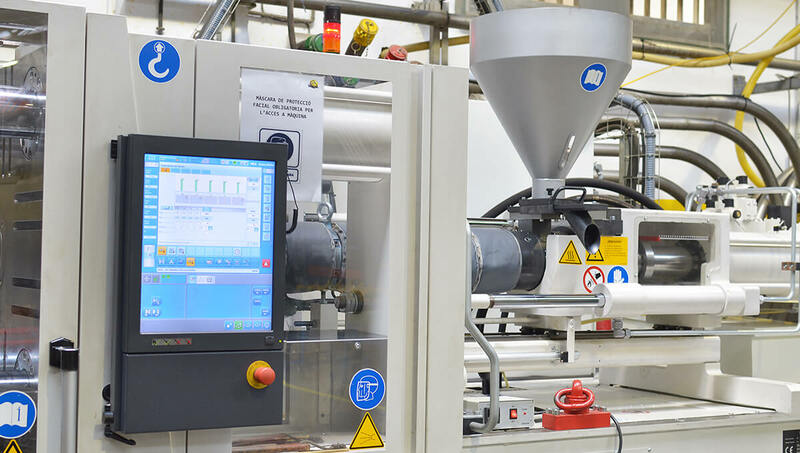 Injection machines with cutting edge technology, suitable for molds of up to 20 tons. 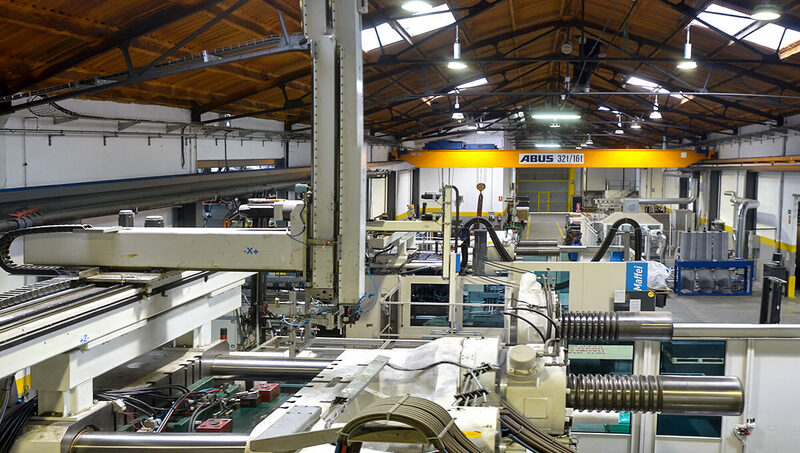 350 molds, 15 injection machines, 4 robots and 3 automatic welding centres. 8,160 hours of production per year. More than 9.4 million units injected per year. More than 1.4 million products assembled per year. 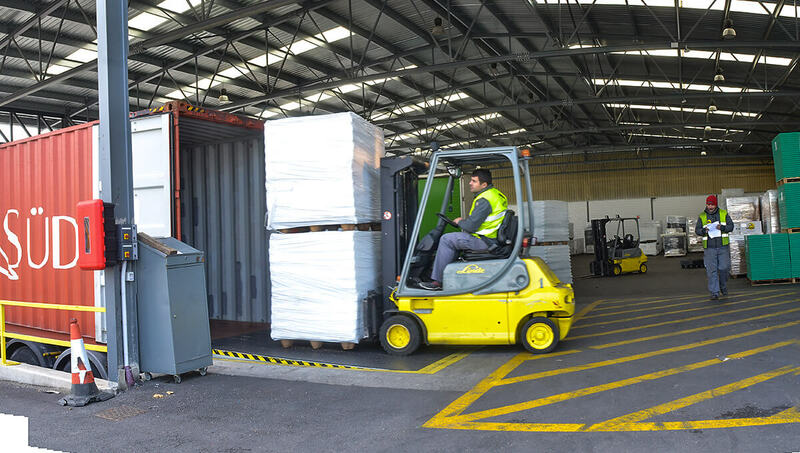 More than 1,500 trucks and containers dispatched per year. 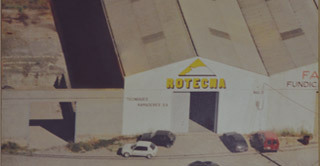 Rotecna is founded, a company dedicated to the manufacture and sale of equipment for pig farms. 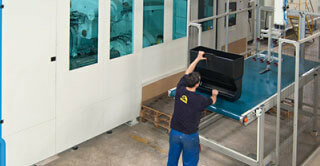 We introduce plastic injection processes to the manufacture of our products. 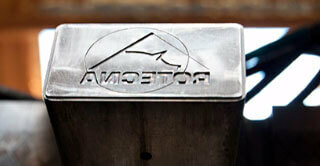 We are the first company to use plastic injection to manufacture fattening hoppers. 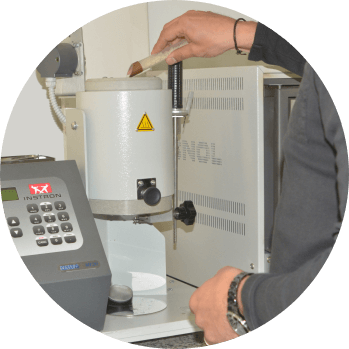 We create our Research and Development Department to promote the launch of new products developed entirely by the company's own engineers. 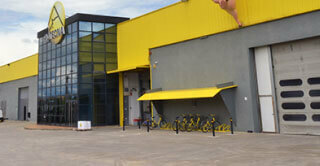 Rotecna is the first company in the pig sector to obtain ISO-9001 quality certification. Exports outperform the domestic market. They currently amount to 70%. 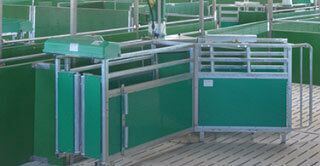 We introduce electronic feeding to our product range. 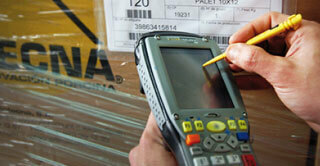 We implement a new management system to improve the efficiency of our storage and dispatch processes. We acquire the first high capacity injection machine for the design, development and manufacture of large-scale products. 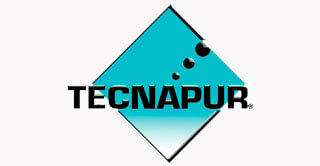 We launch a new product line called Tecnapur focused on the treatment of livestock manure. 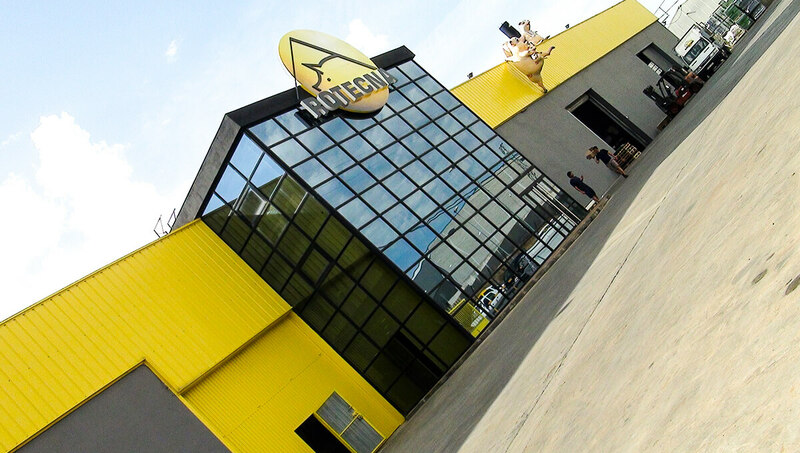 ROTECNA is a company that designs, manufactures and markets products for livestock farms, whose main objective is the satisfaction of its clients, providing quality products and services. 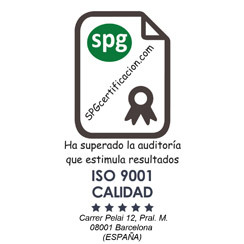 The management promotes the continuous improvement of the Quality Management System in accordance with ISO 9001:2015. The staff's commitment to comply with the legal requirements applicable to our activity. 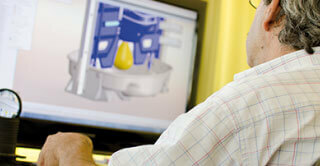 Ensure compliance with our customers' requirements and expectations. Commitment to achieving and maintaining high levels of satisfaction among our customers. Provide training to enhance the skills of our staff. Perform analysis and follow up of non-conformities as part of a collective and participatory process. Work with excellence to ensure effective results. 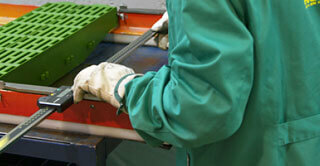 Comply with quality objectives and applicable requirements. 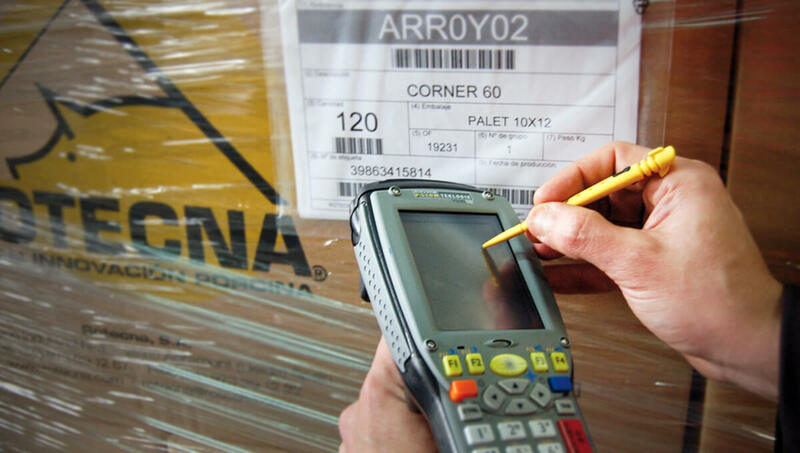 Achieve the best results by applying the process of continuous improvement throughout Rotecna. Commitment to continuous improvement of the quality management system. 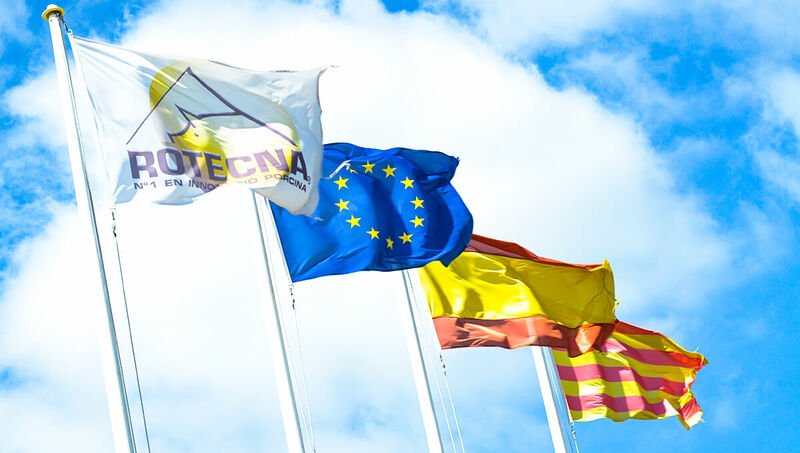 This Policy is understood, implemented and kept up-to-date at all levels of the organisation and is actively supported by the ROTECNA management.